We are peaceful people and tend to be in a very good mood at the office. Man, but when the pigeons surrounding the building start doing their thing, we all go crazy. We can tell you we live every single day like a scenario from a Hitchcock movie: restricted action to one single setting (our office), characters who switch sides (us when dealing with pigeons), use of darkness (closing shutters to stop seeing the pigeons), strong visuals of famous landmarks (The Bel Air Tower in which our office is situated), referring to crime (this we haven’t done yet, but we are plotting). We are just missing the platinum blonde character in all Hitchcock movies, but don’t fear, we are searching for it. All those who live or work in the city centre and are fortunate enough to have a balcony, or two as it’s our case, will probably understand what we are talking about. Apart from not being able to keep our outdoors areas clean and pigeon free, these birds have the scariest grunting and cooing noises. Nothing can cut our creativity wings more that pigeons starring at us from the other side of the window (We thank God windows exist). And they never give up! 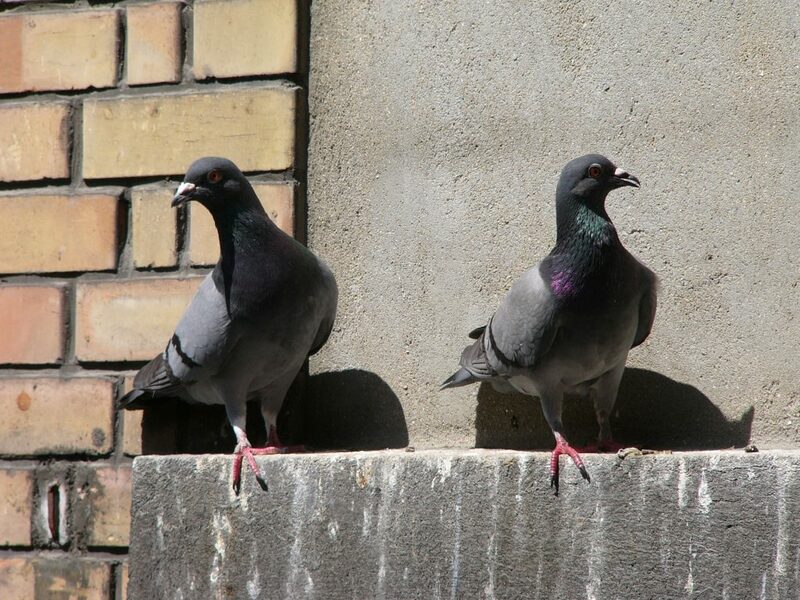 We are on the hunt to discover systems and ways in which we keep these pigeons away from our balconies and windows. The first step was to add nets to all our windows and balcony doors so we can at least avoid having unwelcome guests in the office. You know the saying, when you get kicked out of the door, you always find an open window! They master it! Nets don’ts top them! We will either buy tons of eagles and craws to hunt them down, or you help us with ideas. Preferably ones that don’t make even scarier noises! And the “pique pigeons” as they call them in Switzerland, are their mating places. Complete waste of nails that was!